The electric power drill was invented in 1889 by Arthur James Arnot and William Blanch Brain of Melbourne, Australia. In 1917, Black & Decker patented the first pistol-grip trigger-switch electric power drill. That thing looks like it weighed a ton and was a wee bit top-heavy. Thankfully, we have much more efficient drills today. The latest modern power-tool technology uses lithium-ion rechargeable batteries. I believe Milwaukee was the first to use these batteries in their power tools around 2005. Now just about all power-tool brands use the lithium-ion batteries. It needed to have at least 700 in lb of max torque. It had to come with at least 2 batteries. It had to have a charger and a carrying-case. It had to have a 1/2″ keyless chuck. It needed to be a cordless drill kit that was good for the money (in my opinion). I spent at least 20 hours researching the latest offerings from several brands and also drew from my own personal experience with various cordless-tool brands. The complete cordless-tool system of the brand was also taken into heavy consideration. See How We Determine Our Cordless Tool Picks for more information. As you know, when you buy a cordless tool, you are not only buying just that tool but you are also buying into a cordless-tool system. What I wanted to do here was pick 3 different tool-system usage scenarios and then pick the best drill for each scenario. The Makita XFD07T Cordless Drill/Driver Kit is currently Makita’s top high-powered cordless drill kit. Makita has other 1/2″ cordless drills but they do not have anywhere near 1090 in lb of max torque. The drill has a brushless motor and has a huge 1090 in lb of max torque. The 5.0Ah batteries reach full charge in 45 minutes. The drill has dual LED lights. The variety and breadth of the 18 volt Makita tool line is unmatched. and of course they have many tools for the construction trades as well. I would also recommend the Makita 18V LXT system to the professional carpenter as well. The reason is because Makita also makes the nice 36 volt XSH01Z Cordless Circular Saw and the 36 volt XSL02Z Dual-Slide Compound Miter Saw. Instead of using a single 36V battery, these saws take 2 of the 18V LXT batteries and combines them to make 36 volts! The 36 volts gives you the extra power you need in a circular saw or a miter saw. The Milwaukee 2703-22 Cordless Drill/Driver Kit is especially good for contractors such as electricians and plumbers that need the power to bore a lot of holes through studs and joists. It is better to have more power than you need than to need more power and not have it. A good warranty is also important to professionals that depend on their tools. The drill has a brushless motor and best-in-class 1200 in lb of peak torque. The tools have an industry-leading 5 year warranty. The Milwaukee M18 cordless system has several tools aimed at electricians and plumbers. For electricians, they have various cable cutters, electrical crimp tools, and crimp dies. They also have knockout tools and accessories. For the plumber they have ProPEX expansion tools and press tools for pressing copper pipe. Concrete drilling is also a strength of the M18 system. Milwaukee has several rotary hammers and dust-extraction attachments. Many professional mechanics use the Ingersoll Rand IQv cordless system. Ingersoll Rand has a great line of angle wrenches, ratchet wrenches, and impact wrenches that are specifically designed for mechanic work. There are no saws or other building-construction tools in the IQv line, so keep that in mind. 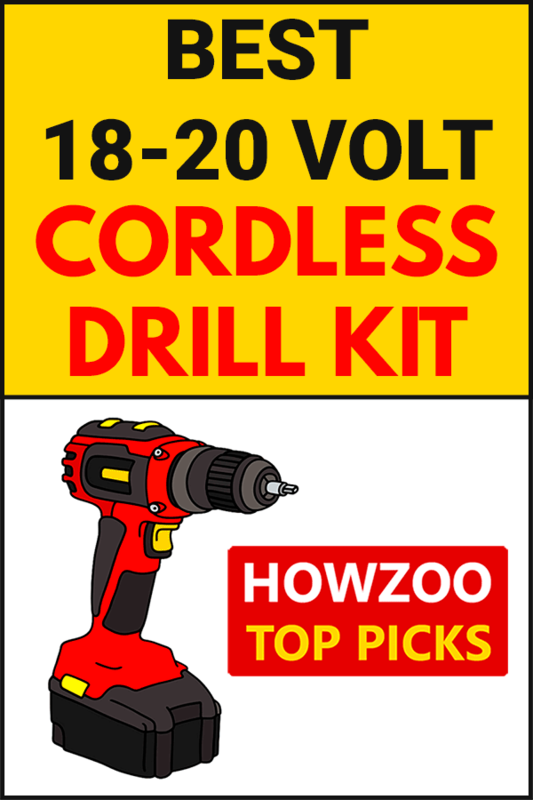 This section has links that go directly to the manufacturer’s product pages for the cordless drills recommended in this article. Ingersoll Rand doesn’t have a separate product page for the D5140-K2 Drill/Driver Kit but here is the link to the D5140 Drill/Driver. This page lists both the D5140-K1 & D5140-K2 Kits.